Ghost in the Machine: Does Print+Ebook Bundling Have a Future? Recently in a Publisher’s Weekly article, Alex Crowley asked why publishers are still not offering print and ebook bundles. 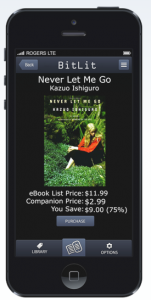 There are many arguments in favor of including an ebook download with the physical book: it adds value to the physical book, it enables booksellers to sell digital books alongside print (and customers to buy ebooks in shops, where they discover them) and most importantly, it’s just downright convenient. Much like the music industry’s pairing of vinyl records with MP3 downloads, by bundling print and digital, publishers can meet readers’ demand to consume media in both digital and analog forms. In fact, many smaller publishers have started giving away ebook versions to each customer who buys a print book – such as Dzanc Books. Various studies have shown that a large number of readers read both print and digital books,  so why not sell them together? Overall, bundling has a lot to offer both publishers and readers, although retailers are often cut out of the equation. Publishers find out who is reading their books through the data provided by downloading, and bundles are a great way to build relationships and earn reader loyalty. In turn, readers get the books they want in multiple formats. What’s holding things up? Publishers are most hesitant about pairing print and digital formats because they are afraid of losing sales, equating bundling with giving away the ebook for free or at a significantly reduced price. Though bundles can be priced higher than the print book alone, the added value of purchasing a bundle is the “experience of a bargain,” which could negatively impact the perceived worth of an ebook, reinforcing the impression that ebooks should indeed be free. However, those in favor of bundling believe it to be an opportunity to cross-market print and ebooks. Whether or not it could “save print” is an inappropriate question — after all, does print need “saving” — but bundling definitely has the potential to incentivize print for readers who are still undecided about formats. Despite these risks and challenges, many smaller presses have made inroads selling print and ebooks as bundles. Crowley cites Angry Robot, a publishing imprint whose sales tripled in the first few weeks subsequent to offering bundles in bookstores. One bookseller’s perspective helps explain why sales were so high — booksellers were excited to finally be selling ebooks, and they used Angry Robot’s bundles as a conversation-starter to talk about digital reading with customers. This example shows that allowing bookstores to sell bundles can boost sales, as well as serve readers who might otherwise just use the bookstore as a showroom and buy the ebook online. Most other presses which sell bundles only do so through their own direct-to-consumer online shops. The Scottish publisher Canongate sold Ruth Ozeki’s A Tale for the Time Being (longlisted for the Man-Booker Prize) as a bundle and the response was “absolutely fantastic,” said Canongate’s marketing director, Cate Canon. The response was particularly gratifying as it was tolerated by retailers despite the fact that respected independent publisher still chose not to offer the bundles in bookstores. From a strategic standpoint, publishers are deciding between using the added value of bundles to improve their retail relationships or to improve their relationships with readers directly. The fact that most presses only sell bundles direct shows that publishers are increasingly focusing on their relationships with readers. The Canadian startup BitLit promises to approach bundling from a different angle. 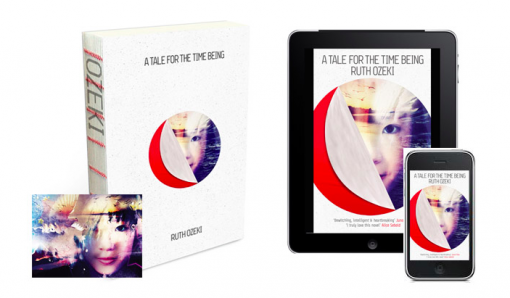 With the BitLit app, users can buy the ebook version at a discount after proving they’ve purchased the print book. The verification process includes taking a picture of the book, writing one’s name on the copyright page and submitting a photo of the page to BitLit to verify it. The process seems a bit involved when compared with bundling, considering one is still still has to buy the ebook. Also, it’s a missed opportunity for the publishers to share pictures or book recommendations from the readers who are verified purchasers of the print book. However, as BitLit is still getting ready to launch with several partners (many of whom already offer bundles) one hopes they surely have a few more creative flourishes planned. The University of Kentucky Press, on the other hand, is taking full advantage of reader pictures procured through their ebook loyalty program. Each reader who sends a picture of him/herself holding up the UK print book which they own receives a free ebook version of the book from the press. The press is posting a charming assortment of reader photos and anecdotes on their Tumblr account. So far, feedback about the initiative has been mostly positive. In Germany, several publishers have started selling bundles, such as the jointly owned presses Haffmans & Tolkemitt and Rogner & Bernhard. Inspired by the music industry, the two presses started selling their hardcover books with unique download codes in their Hardcover Plus program in early 2012. Publisher Till Tolkemitt said in an interview, “We’re not giving away anything; we’re selling a better product.” He cites an overwhelmingly positive response from booksellers, who love it because it enables them to sell ebooks without forcing readers to choose between digital and print. Perhaps the best news is that despite the danger of someone copying down the code in a bookshop and downloading the book, Tolkemitt says the presses have never been contacted by book buyers whose code was already used. Many other German presses have followed suit and offer selected titles as bundles, including Ullmann Verlag, Rowohlt Berlin, Campus and the indie press Onkel & Onkel. A Format with a Future? There are several other types of bundling, such as the SF publisher Baen‘s “bundles” of digital advanced reader’s copies, or the Humble Bundle initiative, which lets readers choose how much they’re willing to pay for selections of ebooks, with the proceeds going to charitable causes. In a Bookriot article, Felice Howden argued that these types of bundles make a lot more sense from a reader perspective. Offering readers a selection of ebooks, such as a collection of books from one author, or a similar ebooks from the backlist, can help them discover books they might not have otherwise read. For now, print+digital bundles still have the potential to offer added value. That’s because reading has become a hybrid experience. While many people prefer the tactile experience of print, they still want an e-version for traveling, for easy search and highlighting, or for social reading. As the field of ebook design continues to develop, we will hopefully be seeing more beautiful, intuitive, and user-friendly ebooks and apps appear on the market. And as these formats mature, there may be less reason to supplement the digital version with print. Hopefully, more publishers will take advantage of bundling in this period of transition. While print still appeals to our sensibilities, why not give readers the best of both worlds?